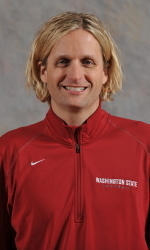 Washington State football head coach Mike Leach hired former Mizzou offensive coordinator David Yost on January 18 to become the Cougars’ inside receivers coach. After coaching three of the top quarterbacks in Mizzou history, and then becoming the offensive coordinator for last year’s SEC debut, the long hours at the office and time away from his wife and three kids had taken its toll. Now, Yost will be in a much more relaxed atmosphere. Dennis Dodd of CBS Sports caught up with Yost and talked about the transformation from Mizzou to Wazzu. In his first interview since the hire, Yost says he wasn’t forced out after the Tigers struggled offensively in the new conference. This interview comes basically at the one year point in which Yost’s stature at Mizzou reached its highest point, when Dorial Green-Beckham signed with the Tigers last year. It was Yost who heavily recruited the standout wide receiver from Springfield Hillcrest and kept a relationship with DGB while he was still a grade schooler attending Mizzou football camps.